It’s been a while since I heard a mandolin, let alone an ensemble of them. Not surprising as the instrument appears rarely in serious music endeavours. Like everyone else (except mandolin aficionados), for a long time I associated the instrument with Neapolitan love-songs and popular lyrics in the pre-Pavarotti era when tenors were real musicians despite their preference for musical schmaltz – Santa Lucia, Torna a Surriento and a whole catalogue of sloppy Tyrrhenian flim-flam. Yet, every so often, the instrument appeared where you least expected. Thanks to a fellow student, I found it, in my early student days, lodged in Schoenberg’s Serenade Op. 24, playing up to the stringent aesthetic that infects the work. Then it appeared in Mahler’s Symphonies 7 and 8, as well as Das Lied von der Erde. Webern employed it sparingly in his Five Pieces for Orchestra Op. 10; Stravinsky also called for it in the ballet Agon. But its most common appearance for most of us comes in Deh vieni alla finestra from Don Giovanni. And that short catalogue of original music for the instrument takes no account of the significant Vivaldi and Paisiello concertos that, in these latter days, the master-mandolinist Avi Avital has resurrected for us during his recent tours with the Australian Brandenburg Orchestra. So, for an instrument that gets typecast as a step below the guitar but a cut above the ukulele, the mandolin has endured a lot of downtime. 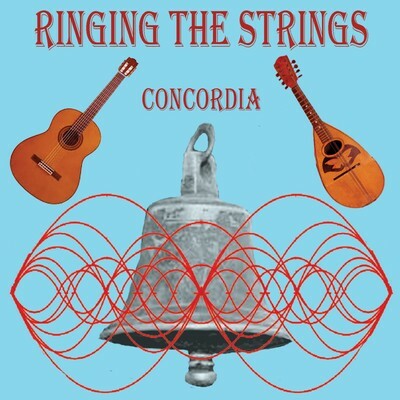 On this disc from the Concordia Mandolin and Guitar Ensemble, the main source of material is Michelle Nelson, the organization’s composer in residence, who provides a tarantella, a three-part suite and a five-part sequence of Midsummer Bagatelles. These are original compositions, but Nelson also supplies arrangements of Faure’s violin/piano Op. 16 Berceuse and Erik Satie’s Valse-ballet. The other components of this rather brief disc (47 minutes) are Sculthorpe’s Little Suite for Strings, A travers la Hongrie (Hungarian Journey) by French master-mandolinist Francois Menichetti, and East-West, the first movement of Sydney composer Steven Lalor’s World Music Suite. In all, the CD has 16 tracks, which works out to about 3 minutes each; so the emphasis is on instant impact and congenial melody. You get this right from the opening Kangarella where Nelson tries an Italian/Australian fusion, giving the spotlight to piano accordionist Juliette Maxwell for a catchy dance putting a neat chromatic-flavoured tune inside the 6/8 tarantella rhythm. Faure’s miniature has gained an extra two bars of harmless introduction and then lost much of its original torso. It’s hard to object to the arrangement of Satie’s defenceless Waltz-ballet; Maxwell’s accordion has a starring role, which only reinforces the highly suggestive La Ronde atmospherics, and the additions at start and end are undisturbingly cosmetic. The CD’s title work by Nelson is the previously mentioned and amiable tripartite suite: an Allegretto where the Concordia guitars and mandolins generally treat the straightforward plain-speaking material together; Barcarolle and Waltz, probably more latter than former, and somewhat tedious because the main rhythmic cell is repeated over-conscientiously in the movement’s first section; a Rondo conclusion showing some moments of awkward negotiation in its initial allegro pages, while the central grazioso lives up to its title with some fetching tremolo work even though some of the bridging modulations int he last section are clumsy in construction. Nelson binds the suite together by making her final movement’s main melody a variant of that which dominates the opening Allegretto. Sculthorpe’s 1983 suite – another Nelson arrangement – suits the Concordia personnel remarkably well, right from the opening Sea Chant with its simple folksy tune treated with calm discretion, through the appealing and whimsical Little Serenade that makes a virtue of the mildest of syncopations, to the most well-known of these pieces, the Left Bank Waltz – slightly asymmetric in phrasing and, in its scene-setting owing so much to Satie, Auric and Monsieur Hulot. It might have something to do with the arranger’s skill but this trio of pieces sounds idiomatic in this performing context and very deftly carried off, even in the last pages of the Waltz where inspiration flags. Nelson’s Bagatelles open with A Foggy Morn, which is actually a placid waltz-rhythm piece that sets up the English bucolic backdrop that inspired this cycle. Strawberry Fair is a jig with a perfectly proportioned central theme at its start and finish with some harmless central padding. In Bullocks may graze safely, you’d expect a Bach reference or two, but the atmosphere is one of noon-time torpor and a slow-moving melodic arch that doesn’t go very far and moves in simple steps. A Midsummer Dance gives a fairly good imitation of a 6/8 country frolic; again, the tune is simplicity itself, as is the harmonic vocabulary. Midsummer Nocturne, the longest of the five pieces in the set, is more of a lullaby with some gently rocking underpinning and welcome interludes from the ensemble’s guitars. To conclude come two showpieces. Menichetti’s Hungarian frolic begins with a nicely calculated lassu before making the inevitable turn to fast 2/4-Liszt Rhapsody motion. In later pages, the piece reproduces so many tropes of Zigeuner compositions that the listener feels quite at home with what is basically Central European kitsch, especially when the tempo moves into a fast waltz, then the necessary friska coda. Lalor’s piece features the solo mandolin of Michelle Wright and is suggestive of much music you hear on both sides of Aegean, with a powerful suggestion of massed bouzoukia and a more diatonic-than-usual use of the oud, the band operating in a modally inflected D minor framework at the score’s centre before reverting to the opening major optimism. Concordia’s musical director Basil Dean has a dedicated band of performers to work with and the music heard on this CD is fairly well carried out by them all, if some tracks seem more stolid than exhilarating. Here is a good deal of easy listening, the works selected for their charm and felicitous adaptability to the mandolin/guitar forces available. While there are no Schoenbergian shocks, this CD is amiably honest in its prime intention of entertaining.